Although written for the 1964-70 Ford Mustangs many vehicles of the period used very similar light systems. 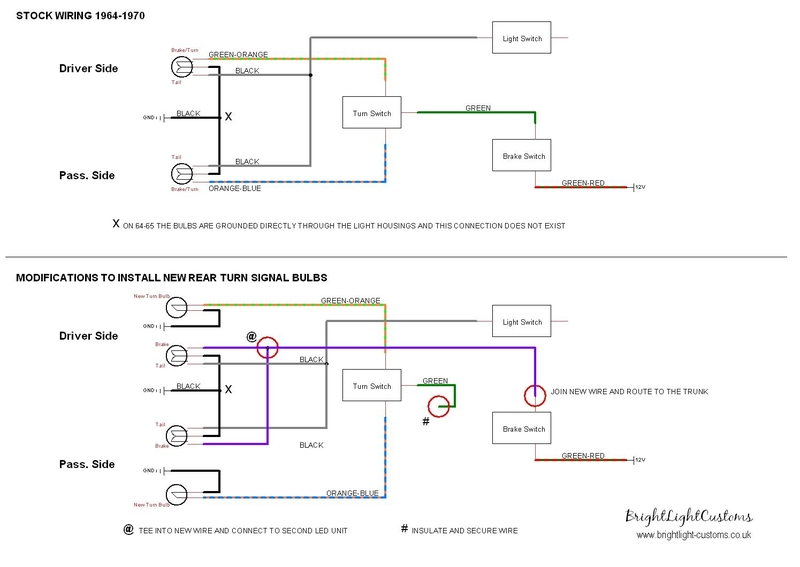 The same principles can be applied to most of the vehicles of the period, however please consult a stock wiring diagram for your vehicle application. These instructions are provided as an installation aid. We recommend fitting be performed by a suitably experienced person. 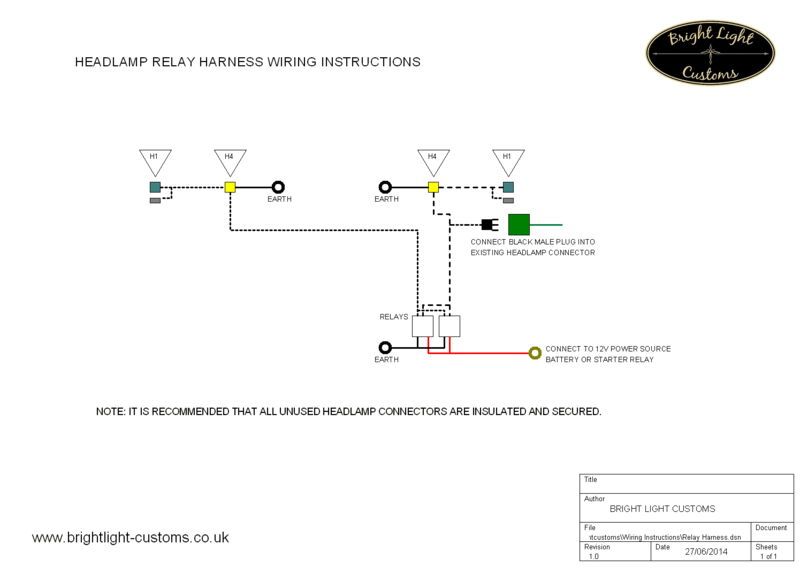 Bright Light Customs accept no liablilty for any issues arising from the installation of our products. Disclaimer: The instructions and information contained within our downloads section is provided as a guide only. It is the responsibility of the person(s) performing the installation to ensure they are familiar with the modifications required and are suitably qualified/experienced with this type of work. 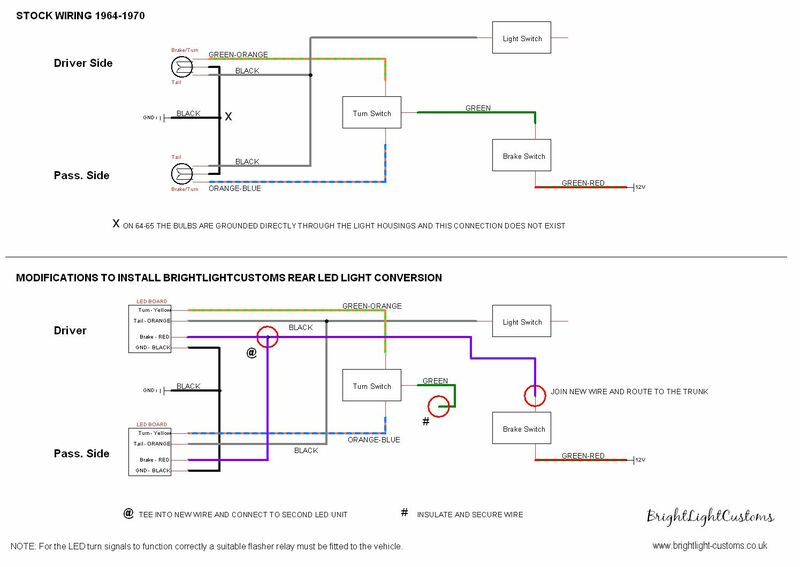 Bright Light Customs accept no liability for damage or injury caused or sustained, during, or as a result of, the wiring modifications and installation of our products.